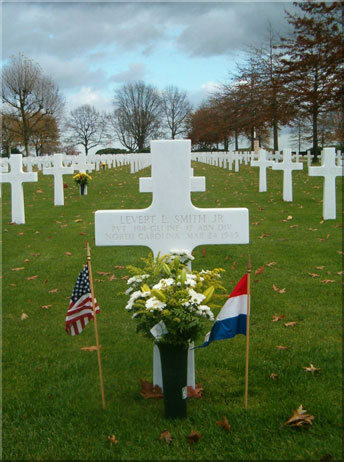 My brother, PVT Levert Lindell Smith, Jr, was a member of the 17th Airborne Division, 194th Glider Infantry Regiment, and was killed on March 24, 1945 while taking part in the airborne crossing of the Rhine River (Operation Varsity). 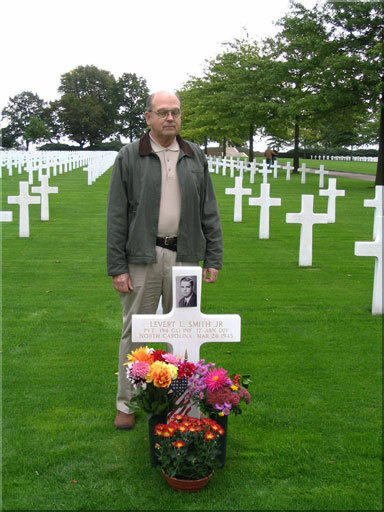 He is buried in the Netherlands American Cemetery, Margraten. Lindell was born in Tarboro, North Carolina on March 21, 1926. He grew up in La Grange, NC and graduated from high school there in 1943. He attended Appalachian State College (now University) in Boone, NC for one year. He was always interested in sports, particularly baseball, and thought that he might find a career in some way connected to the sports field. He played on the baseball team in High School and college. His favorite major league baseball team was the New York Yankees. His nickname was "Bud". While in High School he operated a home milk delivery route and worked part time in his father's grocery store. Lidell, like most members of the family, was of the Methodist (Protestant) faith. In October of 1944 he was called into service (drafted). He was inducted at Fort Bragg, NC, and received his basic training at Camp Croft, South Carolina. At that time because service men were needed so badly overseas as replacements there was no time for additional training. After completing basic training, he cam home for a short leave and then went to Fort Mead, Maryland for processing to be shipped overseas. Due to war time secrecy we do not know much detail of the rest of his life. He shipped out for Europe, was seen at a replacement processing depot in the Paris area, then was sent to the 17th Airborne Division as a replacement while they were refitting near Chalone Sur Maine, France, after coming out of the battle of the Ardennnes. He became the BAR (Browning Automatic Rifle)man in a squad of 12 men in Company C of the 194th Glider Infantry Regiment. 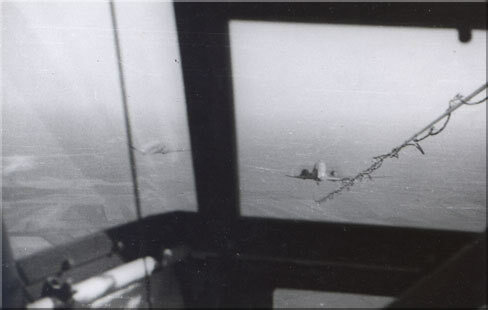 On March 24 1945 the 17th Airborne Division took off from airfields in central France (north and south of Paris) for Operation Varsity. taking off from airfields in central France for Operation Varsity. The glider carrying "the squad" landed in a field near Wesel, Germany, probably sometime during the late morning hours, approaching Noon. The men in the squad, along with other troops took up defensive positions nearby which was also a bridge over the Issel River. They were attacked by German artillery and infantry in a brief but fierce battle. During that time, Lindell apparently attempted to throw a hand grenade at the attacking German infantry, but hte grenade went off in his fox hole. He was very badly injured. After the German attack was stopped and turned back, he was given first aid but died a few minutes later. 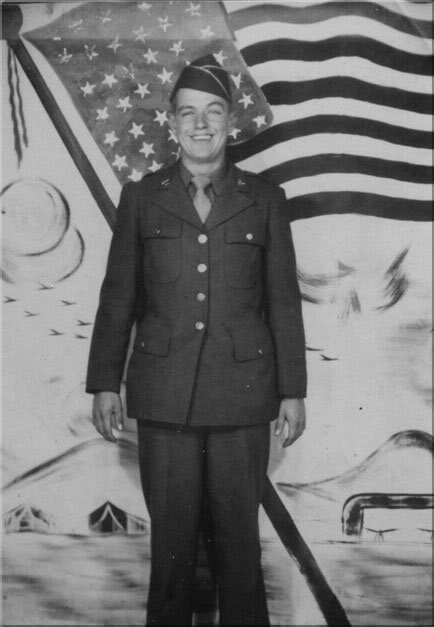 Lindell was posthumously awarded the following : Purple Heart Medal, Bronze Star Medal, Combat Infantry Badge, Good Conduct Medal, European Campaign Medalwith one star, World War II Victory Medal and the Honorable Service Pin. In summary: Lidell had his 19th birthday on March 21, 1945. 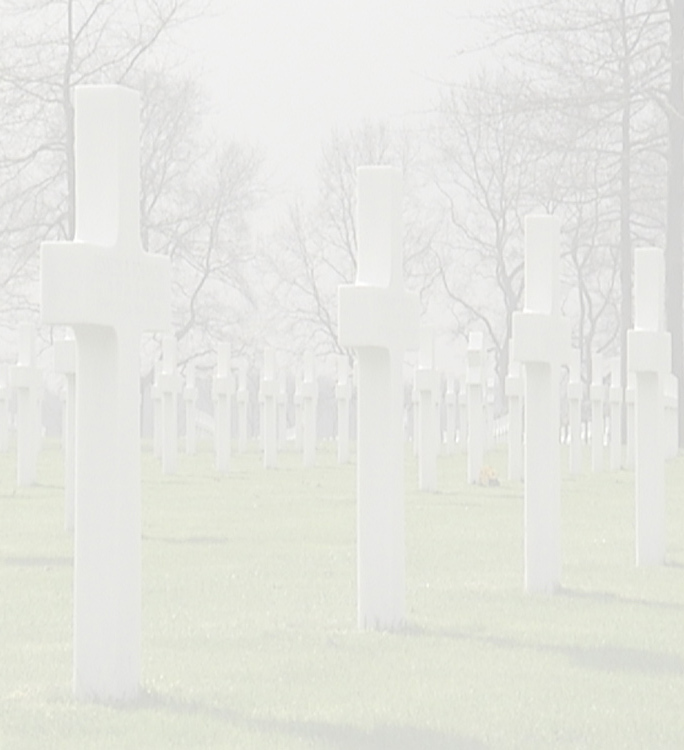 He died on March 24, 1945. He had been in the US Army for about 5 months. 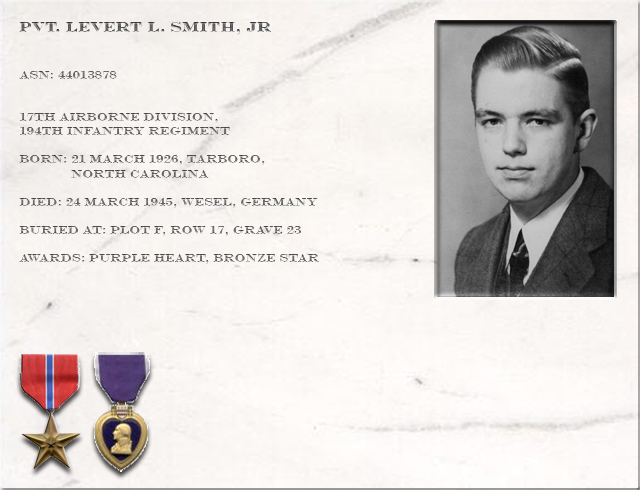 He had been a member of the 17th Airborne Division for less than one month. 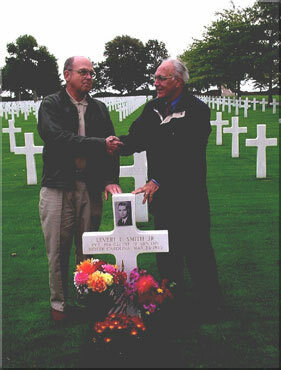 Mr. Robert L. Smith, brother of PVT Levert L. Smith, Jr.
Mr. Pierre Ackermans, adopter of the grave of PVT Levert L. Smith, Jr.